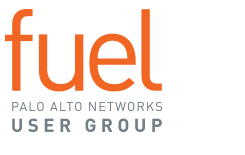 Join Fuel at Spark User Summit Frankfurt where you’ll network with fellow Palo Alto Networks users in the region and hear the latest updates and threat research from Palo Alto Networks. Spark Frankfurt will feature sessions to enhance your skills, including hands-on workshops and collaborative sessions so you will be able to take home actionable solutions and strategies for key security issues. Stay tuned for more information coming soon.